Glenara, Bulla was settled by pastoralist Walter Clark in 1857. Originally purchasing 485 acres to the north-west of Melbourne, Clark built his estate up to 4079 acres before his death in 1873. In 1887 the homestead block of about 830 acres was purchased by his son, Alister Clark, one of Australia's best known horticulturalists and rosarians, and the garden became the site for the breeding of many plant species for more than sixty years. At his death in 1949 the estate covered 1035 acres. Walter Clark arrived in Sydney from Scotland in 1837, and lived in the Riverina region of N.S.W. before purchasing a dramatic site on Deep Creek, near Melbourne, in 1857. 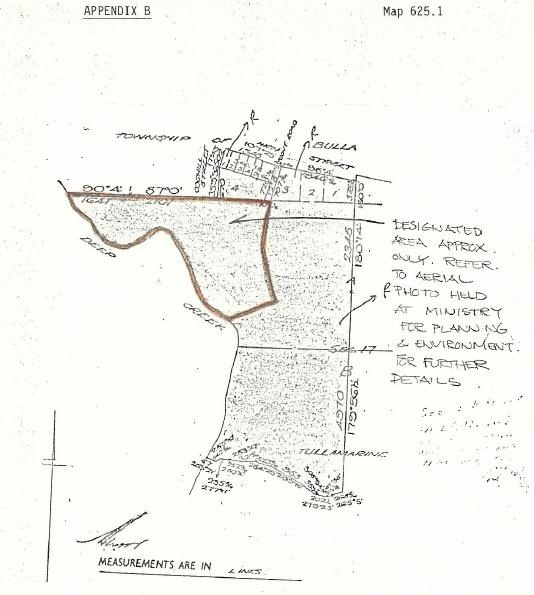 He immediately planted vineyards on this new property, Glenara, and tenders were called by architects Purchas and Swyer for the construction of a house. 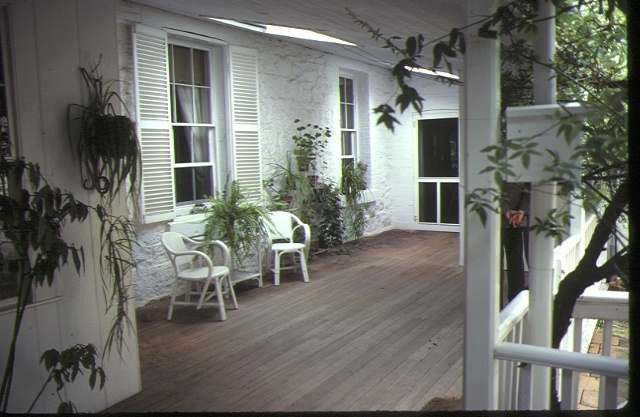 Walter Clark's interest in gardening saw the architects also supervising the design of the landscape surrounding the house. Early garden features included a terrace to the west of the homestead with stone steps and urns and a sundial. Extensive paths were constructed to the south of the house and pathways were formed amongst, and steps cut into, rocky outcrops. The dramatic siting, on a high promontory above large, rocky outcrops along Deep Creek, and early plantings and landscape features, were recorded in a photograph by Nettleton in c 1864 and in a painting by Eugene von Guerard in 1867. By 1868 Glenara's picturesque beauty was described as unsurpassed in Australia in the Guide for Excursionists from Melbourne. In 1872 architect Evander McIver called tenders for the erection of a bluestone tower at Glenara, which was constructed on a hill to the south of the homestead. A rustic bridge leading to this tower was also constructed. Walter Clark died in 1873 and his son Alister, born in 1864, finally purchased the homestead block at Glenara in 1887. He settled there permanently in 1892. A series of managers and lessees had been responsible for the property, however the house and the form of the garden had been retained. A billiard room was added to the eastern end of the homestead in 1895 and Alister began to assemble an extensive range of plants in the garden. His greatest interest was the breeding of roses and daffodils and he introduced many species to the garden at Glenara before his death in 1949. The Glenara homestead is a large single storey Italianate house of rendered stone and brick, with hipped slate roofs and eaves supported on paired brackets. 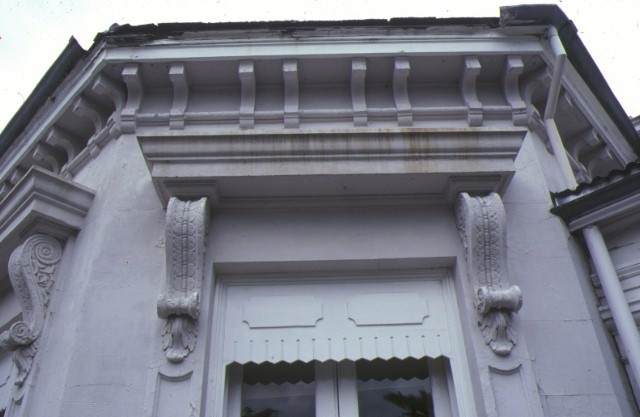 An encircling verandah has open work timber posts and lintels. The west end features an Italianate terrace with classical balustrade and urns, flanked by staircases at either side leading to an elaborate path system. Double doors, which lead to this terrace from the polygonal bay of the drawing room, are framed by heavy cornices supported on large consoles. The 1895 billiard room, which is designed to match the earlier building, contains a large glass skylight with transfer design, timber dado and coved ceiling, stained glass windows and polygonal bay with French doors and stained glass toplights. The property contains a number of early buildings, including an octagonal, timber building, evident in von Guerard's painting, and a gatekeeper's lodge and winery of rendered brick and coursed rubble bluestone, possibly c1870s. Glenara, Bulla is of historical significance for its long associations with the Clark family and the pastoral industry. It is of particular historical significance for its associations with Alister Clark, one of Australia's best known horticulturalists and rosarians. 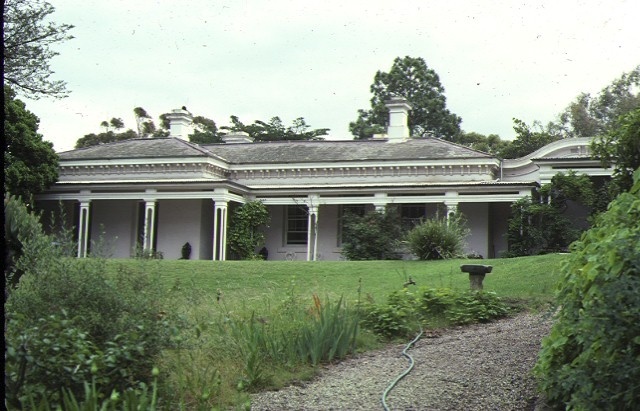 Glenara, Bulla is of architectural significance as a representative example of a substantially intact 1850s Italianate homestead. The surviving outbuildings on the property, including the pre-1867 octagonal building, the gatekeeper's house and the winery are also of architectural significance. 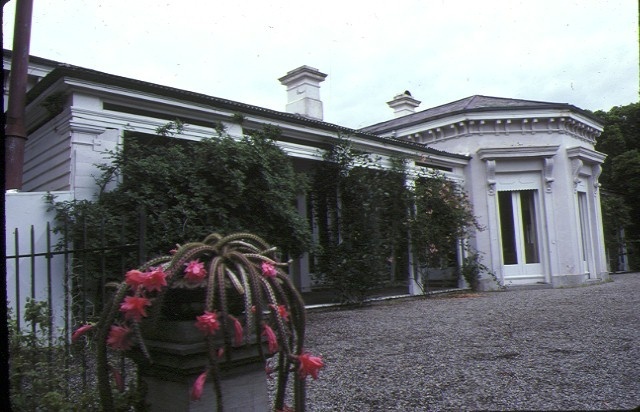 Glenara, Bulla is of scientific (horticultural) as the site of Alister Clark's extensive plant breeding programmes in the early twentieth century. The garden retains a large number of his plants, including daffodils and mature specimens of many roses. Historic Building No. 625 - 'Glenara', Glenara Drive, Bulla (to the extent of all buildings (excluding the stables c.1960) and land entered in the Register Book as Volume 8448 Folio 139, to the extent of the area shown outlined in red on Plan No. 625.1 held by the Ministry for Planning and Environment).